Andhra Pradesh is now becoming the manufacturing hub for engineering products like tools, defence spare parts, polymers, cables, mobiles, Solar equipment, etc. M/s. Amaravati Industries Association (AIA) comprising of 75 micro, small and medium enterprises (MSMEs) submitted their detailed project reports(DPRs), application forms and processed demand drafts at 10 per cent of land cost for provisional allotment of land and the balance amount will be paid as per the APIIC norms. 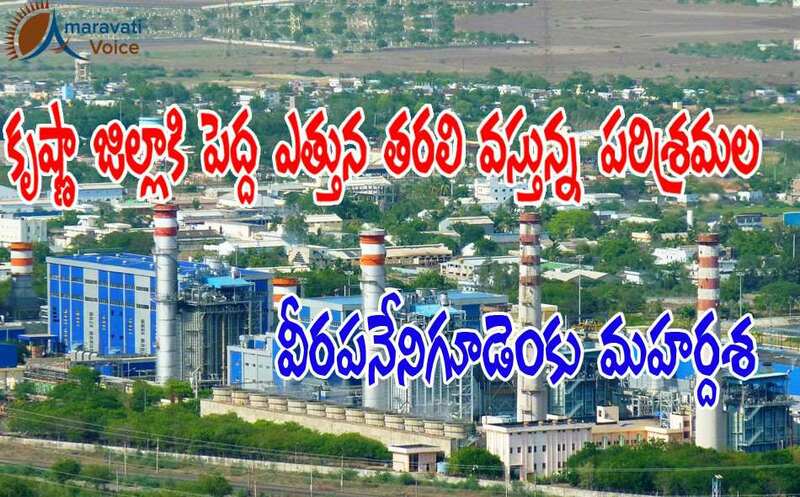 An announcement to this extent was made at a press conference held at the Industrial Park in Veerapanenigudem On Monday. The above mentioned 75 companies earlier were established in Hyderabad. Now, under the banner AIA, these companies are investing in their native state. Earlier, the AIA had signed an MoU With the Government of Andhra Pradesh on 11 January 2016, during the 22nd CII Partnership Summit. AIA is committed to an investment of Rs.201.50 crore for establishing engineering cluster at Veerapanenigudem which is expected to generate 2,615 new jobs. In an effort to boost the growth of MSMEs, the state government has decided to set up a model Industrial Park in 200 acres near Vijayawada. The Industrial Park will develop necessary support infrastructure. The government allocated 86 acres to AIA of the proposed 200 acres.